Home / Eye and Lip / Why Do I Have Puffy Eyes and How Can I Get Rid of Them? While eye puffiness is not necessarily a serious health concern, it can make you look tired and older. The sad part is, these bags under the eyes are also accompanied with dark circles and cannot be entirely removed even with a full night of sleep. A number of factors causes or worsens eye puffiness or swelling around the eyes. It is a common concern with aging, as the muscles and tissue structures supporting the eyelids and skin around the eyes grow weaker leading to the lengthening of the mid cheek resulting to the formation of a “tear trough”. Moreover, the fat located around the eye can also move into the area below it, especially when the skin starts to sag. Also, the area below the eyes can collect fluid and make it look swollen and puffy. How can I get rid of puffy eyes? There may be number of products that promise to remove puffiness and brighten dark circles, but the sad truth is, they are not always effective. Making a few lifestyle changes is much better, as well as considering effective aesthetic treatments like eye fillers. Sodium or salt contributes to fluid retention, which can then lead to puffiness in the skin, including the area around your eyes. It is best to avoid eating too much processed and packaged foods. Load up on fruits and vegetables, and read food labels carefully. This habit robs your skin of essential nutrients that can protect it from sun damage and reverse some signs related to aging. It contributes to a host of other skin problems like wrinkles, pigmentation, eye bags and dark circles. It is recommended to quit smoking as soon as possible to avoid all the health repercussions associated with the habit. Allergies can cause the area around your eyes to puff up and look swollen. Reddening of the eyes is also common and this can prompt you to rub them, which can lead to further irritation and puffiness. Be sure to talk to a doctor about addressing your allergies and alleviating your symptoms. One good recommendation for protecting your eye area is Dr. Sylvia’s ELASTIfirm Eye Cream. This medical-grade botanical remedy can make the skin around your eyes firmer and more elastic without incisions or any other invasive procedures. All you have to do is gently apply (tap) the cream around your eyes and eyelids. Be sure to go easy on alcohol, as overdoing it can make your skin dehydrated. Dehydration can then contribute to puffy eyes, so it is better to reach for a glass of water instead. Aim for at least eight 8-ounce glasses of water (or more) every day. You can consider setting a reminder on your phone to help you drink more water daily. Sleeping on your side or stomach can cause the fluid to accumulate under the eyes, resulting in bags or puffiness. This is why if you can, try sleeping on your back and place an additional pillow under your head. Elevating your head can help prevent the fluids from collecting in the first place. These safe injectable gels can give you a rejuvenated and well-rested appearance by reducing dark circles, eye bags or tear troughs. You can also turn to dermal fillers to plump the lips, enhance the cheekbones, define the chin, and improve the appearance of fine lines. At Cutis Laser Clinics in Singapore, we use dermal fillers made of hyaluronic acid (Juvederm) and calcium-based microspheres (Radiesse). Both substances are naturally found in the body making it safe and effective. Furthermore, both are US FDA-cleared procedures that are ideal for plumping the skin and replenishing volume loss over time. The results can be seen immediately, as the tear trough formation is reduced and the skin appears rejuvenated and firmer. You can check out our previous blog to learn how you can reduce eye bags and dark circles with fillers. Don’t let puffy eyes make your look tired and older. 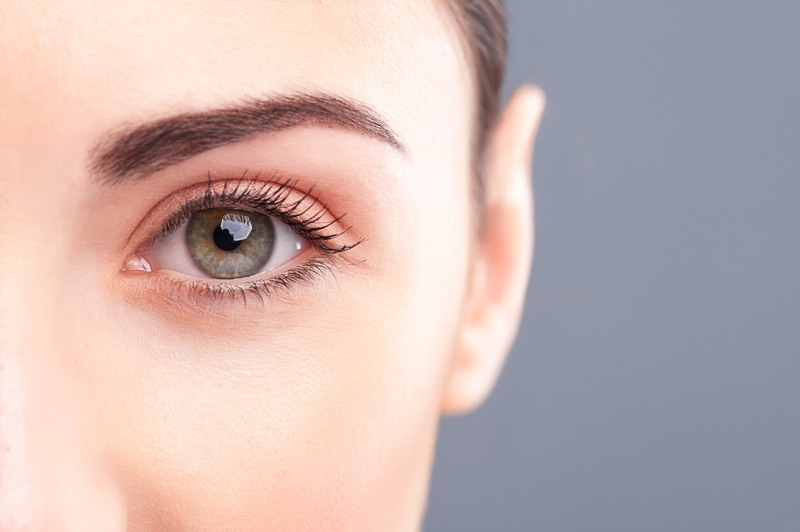 Make a few positive lifestyle changes and consider dermal fillers for your eyes. Contact Cutis Laser Clinics today and schedule a consultation with our Harvard-trained aesthetic doctor, Dr. Sylvia Ramirez, to find out more about these injectables and other treatments that can give you youthful-looking eyes.